Learn how to apply high-quality decals Lisa Katchur of Lakeside, Mont. designed specifically for her nail art techniques. 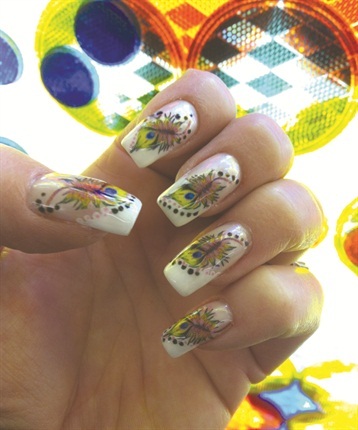 Lisa Katchur of Lakeside, Mont., makes her own high-quality decals designed specifically for her nail art techniques. She makes the decals using a wax substrate ink for brighter colors with a fixative spray over the printed image to prevent the ink from separating. The decals come on a clear background so they can be layered. 1. 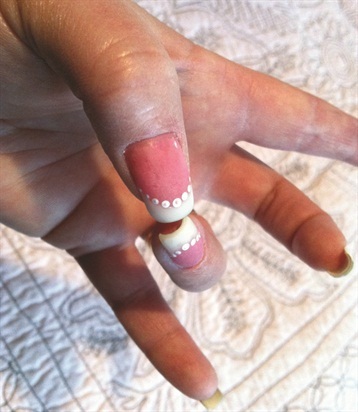 Prepare the client’s nails as you would for a fill. 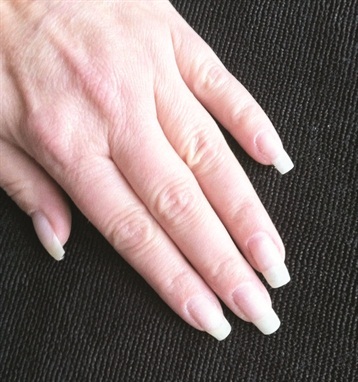 Remove old product, clean up the cuticles, and trim the free edge. 3. Cut the decal out as close to the design as possible, and use tweezers to place it in cool or room temperature water for about 20 seconds. Take it out and blot off the extra water on the paper towel, and place it flat on the paper towel. Begin lightly poking at the center of the image with the tweezers and it will release from the backing. 4. 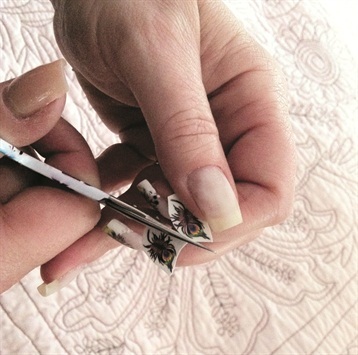 Use tweezers to grab the released part on the edge and place it on the nail in the desired position. Push your finger down in the center of the decal and roll it off in all directions. This secures the decal and removes any leftover water. You can paint around the decal with gel to change the background color of the nail, or put more gel top coat around the design and push glitter into the gel. Finish with top coat. You have instant art in less time and more money for your work. For more information, visit www.nailaddictusa.com.